The North Carolina Coastal Federation celebrated grassroots efforts yesterday, joining community members and other environmental groups in celebrating eight years of hard work against Titan America’s plan to build a cement plant in Castle Hayne. 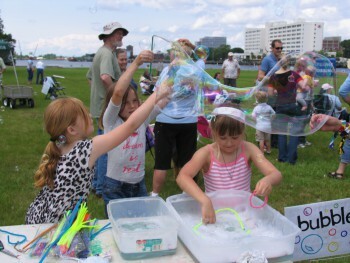 More than 200 people enjoyed free music, food and speakers at the Titan-Free Jamboree at Battleship Park in Wilmington. Titan America announced in March it would not build the cement plant — which would have been one of the largest ever sited in a coastal region of the U.S. — after years of legal battles and negotiations. The company officially stated it decided to stop the project because of uncertain demand and increased costs to build a cement plant. But Stop Titan, a coalition of environmental groups and grassroots organizations founded in 2008, believes the opposition of the community played a role in its decision. Mike Giles, who works for the federation’s southeast office, said the jamboree was a way of thanking the people who had fought for years to keep their community safe from the pollution the cement plant would have brought to their drinking water and air. Titan would have destroyed thousands of acres of wetlands and wildlife habitat and driven away clean businesses and industry from putting down roots in New Hanover County. 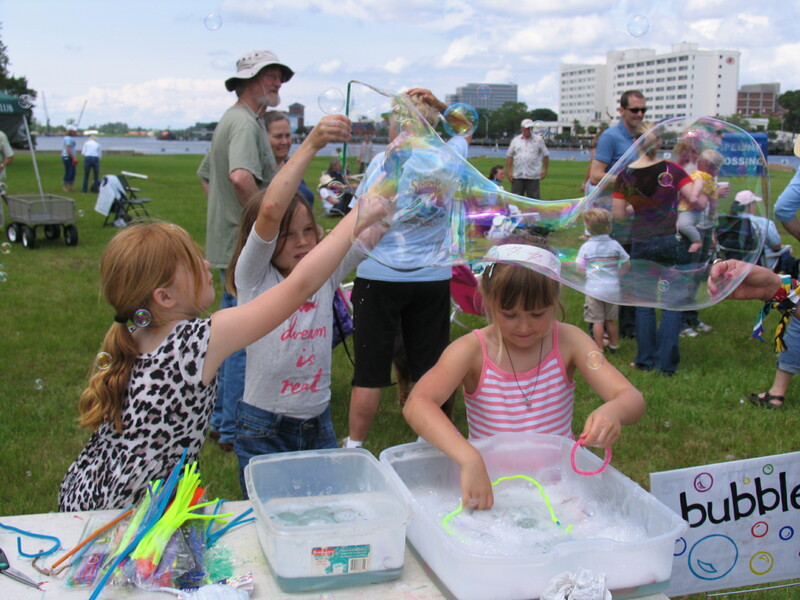 Children blow bubbles at the Titan-Free Jamboree Sunday in Wilmington. “We wanted to celebrate that if you stand up and make yourself heard, you can make a difference,” Giles said. The federation’s work is not finished — right now it is focused on keeping the community engaged in an effort to improve New Hanover County’s Special Use Permit, which many — including the Wilmington Chamber of Commerce — view as too general. The Special Use Permit allows local governments to evaluate the effects of proposed heavy industry and manufacturing on the community. Up until 2011, New Hanover County had not passed any new zoning regulations since 1969. Giles said these local regulations are important, as state and federal policies are too broad and don’t take into account the specific needs of the coast. The federation seeks the public’s support for these changes and wants the New Hanover County Commissioners to consider them in June, before the November elections. To show support, an open letter can be signed here. Check out more information about the county’s special use permit. Read more about Stop Titan’s efforts on Coastal Review Online.